Nikon has announced the AF-S Nikkor 24-85mm F3.5-4.5G ED VR, a comparatively affordable, stabilized, variable aperture standard zoom lens for full frame cameras. It comes as Nikon celebrates the sale of the 70 millionth Nikkor lens since 1933, and the 30 millionth silent-wave motor lens since the system’s introduction in 1996. It’s hard not to interpret the announcement as lending weight to the rumors of an affordable full-frame body, since it’s hard to imagine large numbers of D800 owners using a lens with a recommended price of $599 as their everyday lens. 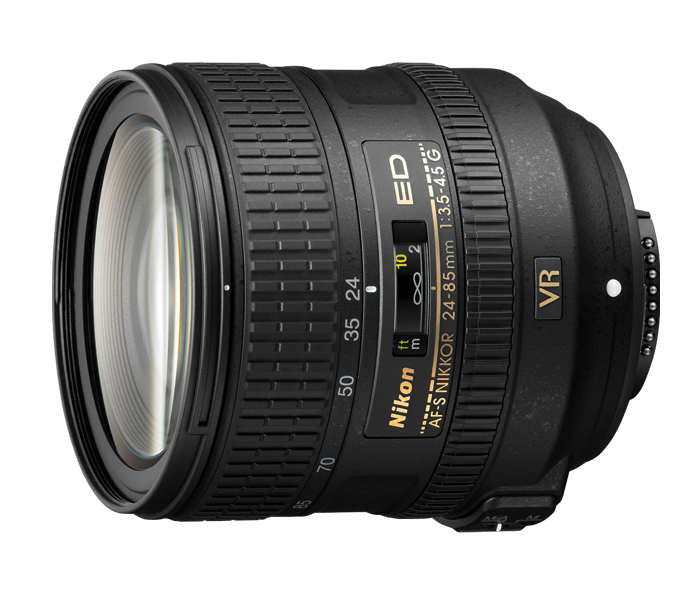 The price for AF-S NIKKOR 24-85mm f/3.5-4.5G ED VR is $599.95. The AF-S NIKKOR 24-85mm f/3.5-4.5G ED VR will be available in late June, 2012.